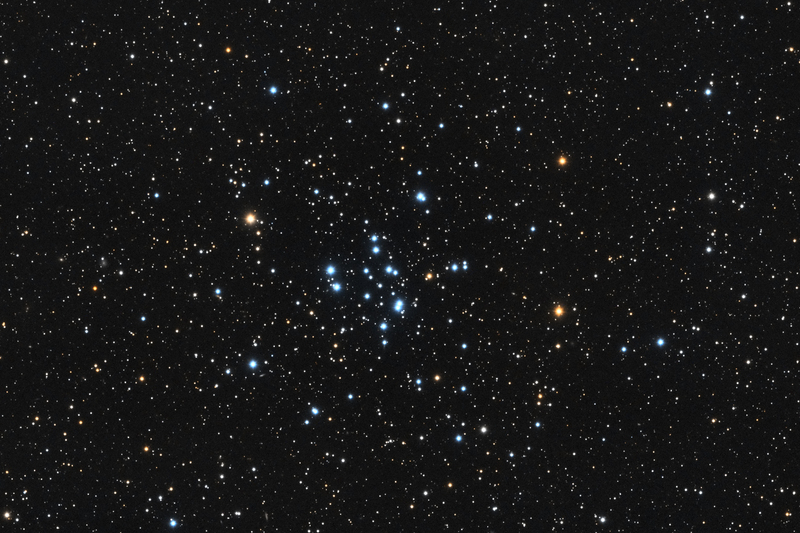 Messier 34, or NGC 1039, is an open cluster in the constellation Perseus. M34 contains about 400 members. It spans about 35' on the sky which translates to a true radius of 7 light years. The cluster is just visible to the naked eye in very dark conditions, well away from city lights. It is possible to see it in binoculars when light pollution is limited.